The usual association with chocolate whips is the classic walnut whip, but Marks and Spencer have expanded there selection with a number of flavours. For summer the new variety is Lemon and Passion Fruit Whips, topped with a little dollop of meringue. There are three in the box. 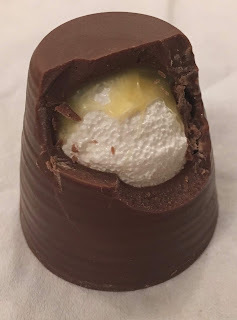 I started by eating the meringue from the top and it was light crunchy and sugary. Then I tucked into the Lemon and Passion Fruit Whip itself. 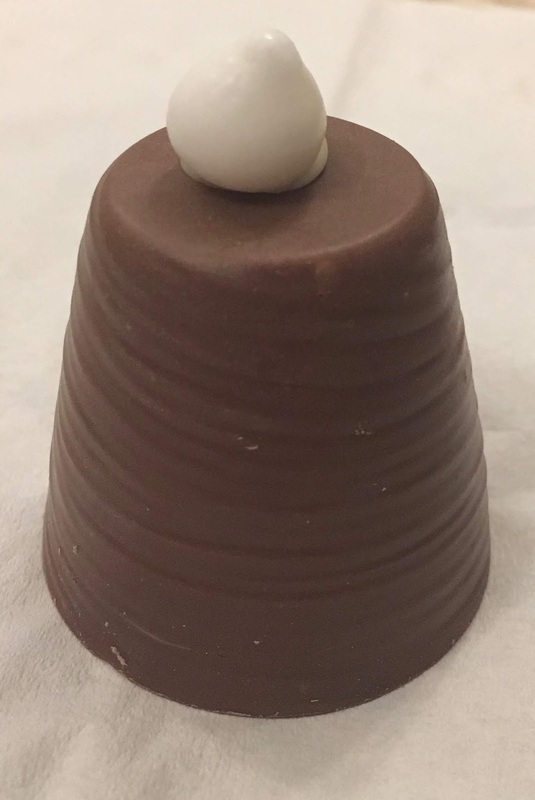 The milk chocolate coating was wonderfully thick, and of Mark and Spencer usual quality. The chocolate has a sumptuous thick melt, and its sweetness is very indulgent. The flavour inside the whip is mainly from the top where the sauce drizzles down. The sauce is is tropical tasting, and the passion fruit mellows out the zingy flavour of the lemon. The chocolate and fruit flavours are lovely and summery, and the whip itself was light and fluffy. The only negative part was that the fruity flavour was at the bottom of the whip, as the sauce hadn’t really made it there. I think I would have liked the fruitiness blended with the whipped filling instead. The fruit flavour was so nice, I wanted more it. 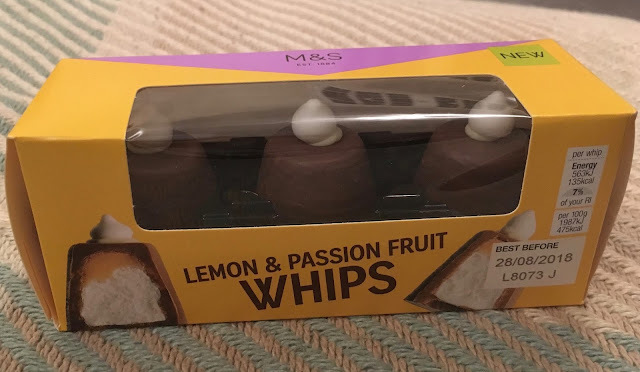 Even as it is I think this is an excellent addition to the range of Whips in Marks and Spencers, and one I’ll be buying again.